The Sooner You Can Enjoy The Blooms! 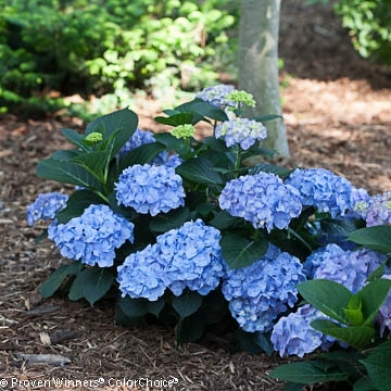 Features: Reblooming hydrangea with pink or blue flowers. 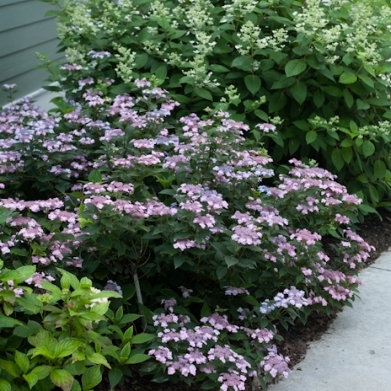 Pruning: Generally not needed, but may be trimmed immediately after the early summer bloom. Uses: Good in groupings or masses, in perennial and shrub borders, as a specimen, screen or hedge. Good in mixed containers and as a cut flower. 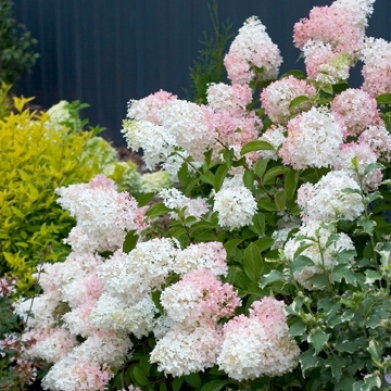 Features: Pure white flowers begin flowering in mid to late summer. Blooms every year. Hardy. Soil pH does not affect flower color. Soil: Adaptable to most well-drained soils. Bloom color is not affected by soil pH. Pruning: Prune back in late winter/early spring. 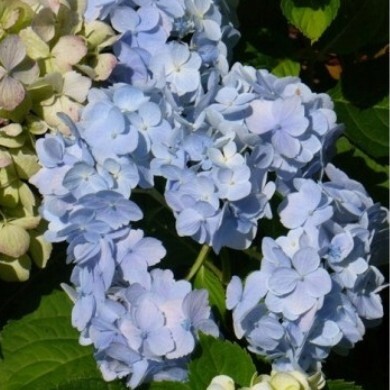 Features: Very hardy: Blue or pink lace-cap flowers. Reblooming. Soil: Prefers moist, well-drained soils. Flower color is affected by soil pH. Uses : Mixed borders; foundation plantings. 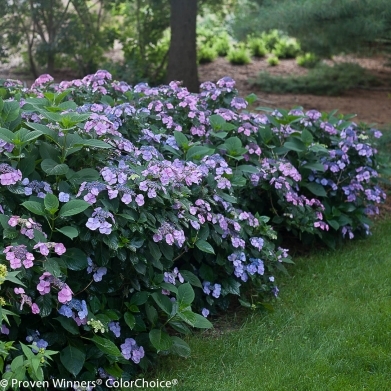 Features: Very hardy reblooming hydrangea. Lacy pink or blueflowers. Soil: Prefers moist, well drained soils. Flower color is affected by soil pH. Features: Beautiful swirls of soft pink florets encircle rich pink flowers in a parade of twirling blooms. Very showy bud-hardy hydrangea. Soil: Adaptable to most well-drained soils. Bloom color is affected by soil ph. Pruning: Prune after blooming is over. Location: Wherever planted, try to choose a place where repeated pruning is not required to keep it in bounds. Some of the most beautiful hydrangeas are those that are only pruned once every few years. 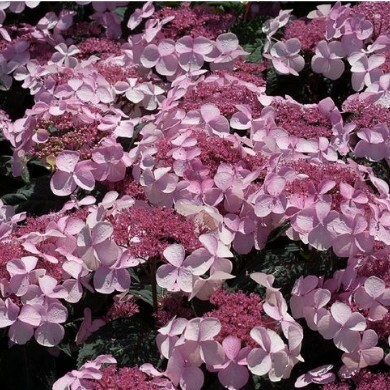 Features: Large mophead flowers that will either be blue (in acidic soil) or pink (in alkaline soil). Soil treatment should be done well in advance of flowering , late autumn or early spring. Soil: Loose and rich in organic matter, well drained. Color of blooms affected by soil ph. COBB NURSERY is nestled beside the Catawba River 10 minutes northwest of the city of Morganton in western North Carolina. We proudly grow and sell high quality trees at our nursery. At COBB NURSERY, we strive to offer first rate plants along with excellent service. If we don’t have it at our nursery, we will do all we can to locate it for you. We would love to have the opportunity to work with you in supplying your landscape needs.